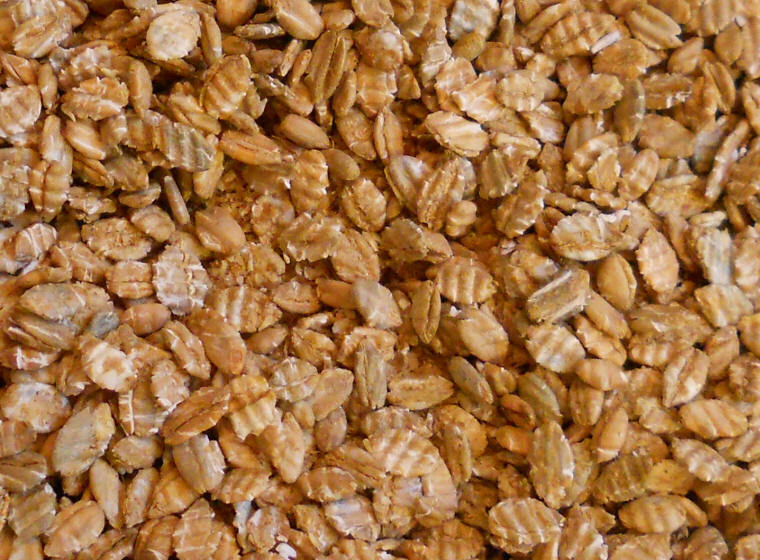 (Rye Flakes) Rye flakes are made from whole grain rye berries or groats that have usually been cut and steamed to soften them, and then rolled between steel rollers to form the flakes. This is very similar to the way that rolled oats are make. Rye, however has sweeter taste than oats. Rye flakes can be cooked in water or apple juice to make a breakfast cereal, or added or substituted for oats to make cookies or bread. 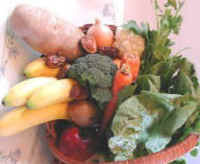 They can be purchased from most health food stores, coops, and some supermarkets. We could not find the complete nutritional information for rye flakes that we have for most of the other ingredients we have posted, so we posted a partial list from one of the producers of rye flakes.